October has been one busy month! I've been away every weekend and if I'm honest, I am very excited for the first weekend in November as I have no plans and can sit and watch Netflix all day long. 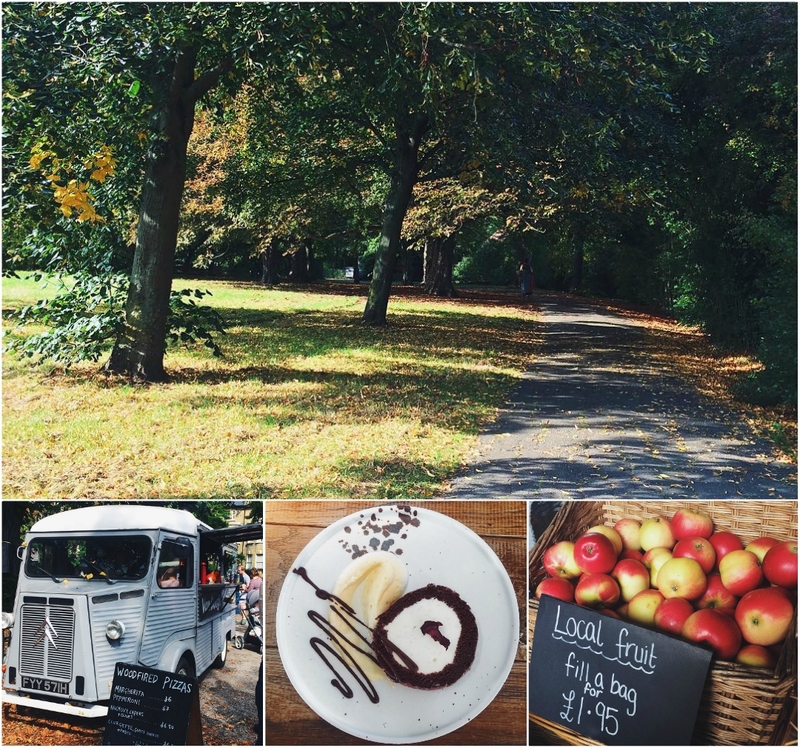 Saying that, I've done some really fun things this month and have been enjoying the official start of Autumn. We spent the start of the month in the Cotswolds for our penultimate wedding this year, and this was followed by a weekend in Leeds with my friend Flora. We looked at Bridesmaid dresses, shopped, went for lunch at Le Pain Quotidien and had a lovely chilled night with Strictly and a M&S dine in for £10 (such a bargain). I love being back in Leeds - it makes me so nostalgic for when I lived there during Uni and the year afterwards. The shopping is also amazing - need to go back when I've won the lottery. We also went for brunch at the Ox Club which was incredible - I had the Smoked Confit Tomatoes and can't stop thinking about it. Another weekend was spent at our friend Matt's house to celebrate their birthday. 30 of us descended on his local restaurant and enjoyed 12 hours of food and drink. It was a little bit messy but lots of fun. We also booked our flights to Cape Town next March for our friend's wedding- am ridiculously excited! Last weekend my besties and I finally enjoyed our 30th birthday celebration of a weekend in Bath. We may all be closer to 31 but we were determined to make it happen and it was lovely. We had a delicious afternoon tea at No.15 Great Pulteney and brunch on the Sunday at Cosy Club. This is being posted as we spend a long weekend in Centre Parcs with the family. One of my favourite happy bubbles. We are going to the new Aqua Sana spa, playing lots of table tennis and badminton, and just having a chilled out weekend together. Phew - I told you it's been a busy month! Bring on November because November equals honeymoon!